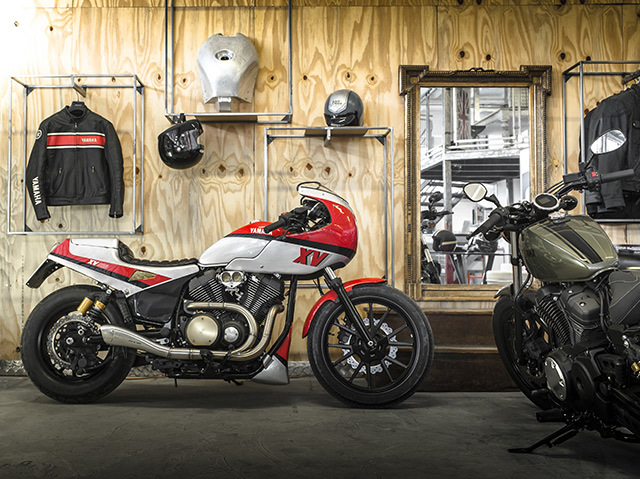 Incorporating an Eighties style inspired to the legendary Yamaha FZ750, the Italian leading magazine devoted to custom bikes, Low Ride has transformed the new Sport Heritage Yamaha Bolt into a unique street racer with an artisanal flavour by altering the riding position and styling to really bring out the sports spirit. Bolt Pure Sports unleashes its sports soul but without compromising the easy ride-ability, comfort and enviable balance. This Special looks radically different from the basic model yet the chassis, mechanics, and electrics are all still perfectly standard. 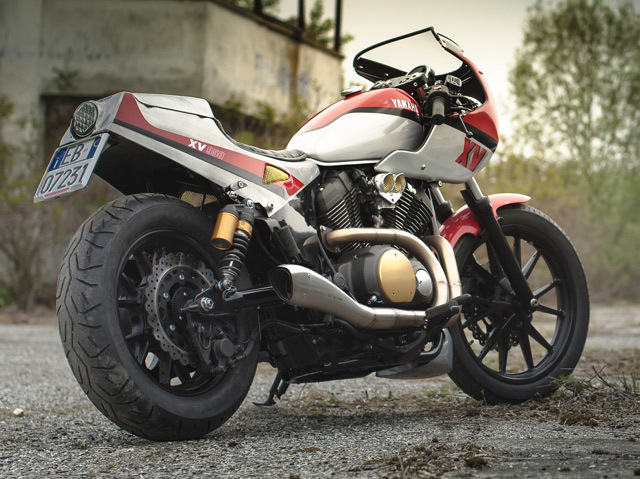 Steel tubular bars to reinforce the half fairing and the tail unit inspired by the iconic Yamaha FZ750 are attached to the frame’s pre-existing mounting points. The style choice is a tribute to pragmatism spiced up with a pinch of 1980s nostalgia. 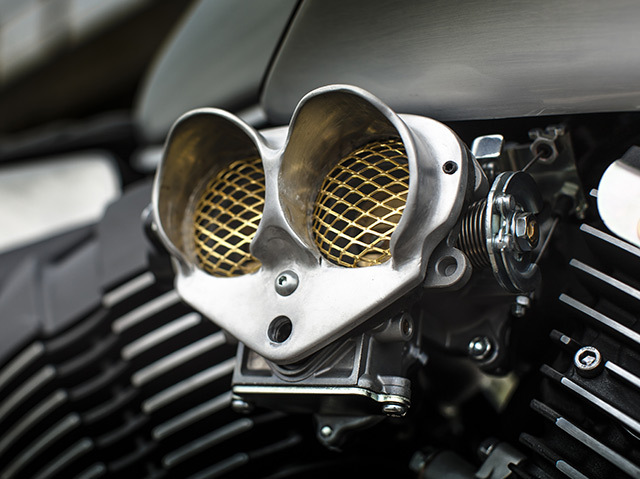 Special components have been meticulously designed in minute detail using unique pieces hand fashioned out of sheet aluminium. The paintwork is outstanding thanks to a special scratch effect that accentuates the handcrafted work in the silvery and metallic colour. 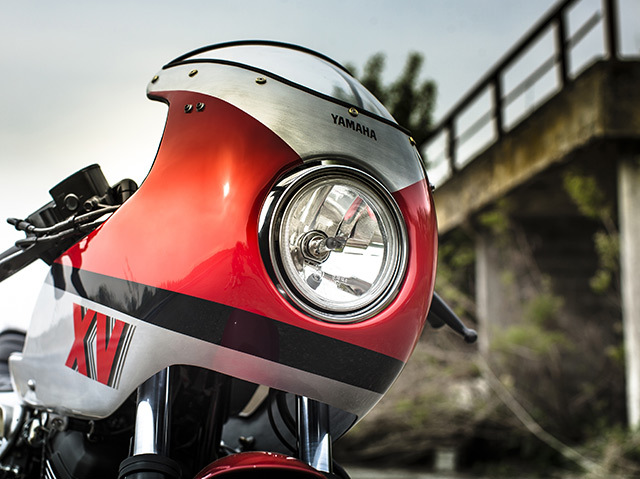 Black and pastel red graphics reproduce the Yamaha FZ750 design from 1985, harmonising the artisanal parts with the standard fuel tank. The indicators and mirrors together with the solid handlebars are priceless yet standardised. 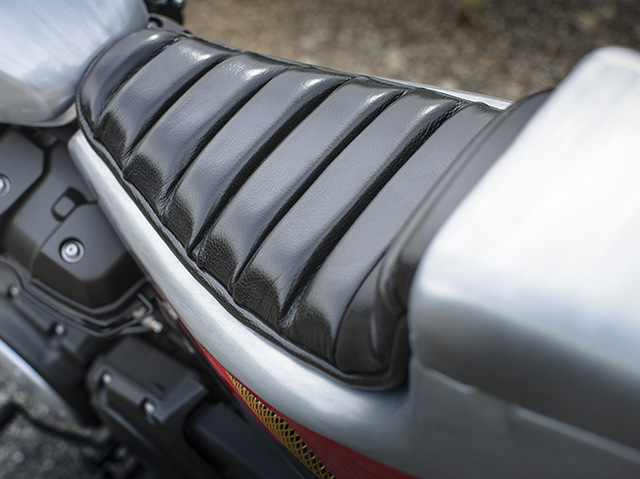 The rider’s seating position is sportier but not too extreme and can be easily adjusted thanks to double joint bars; the footrests are stock. The leather saddle has been made by using traditional techniques and is higher by about 120 mm. 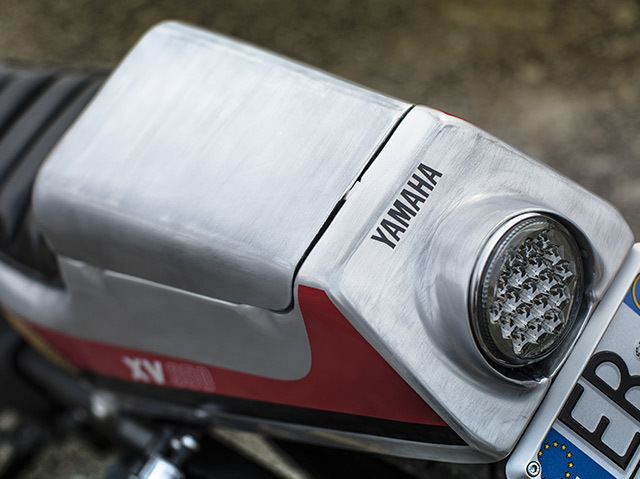 The setup perfected by the Yamaha designers remains unchanged. The tyres, rims, ABS braking system, forks, frame, mechanics and all the electrics are totally standard issue. 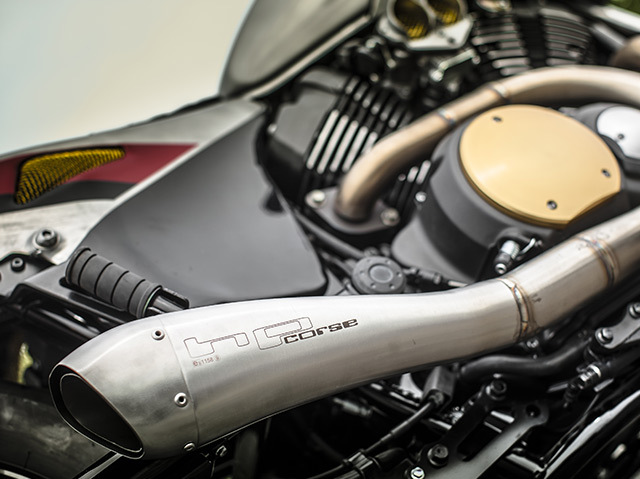 The only concession to sound is the custom designed 2-into-1 exhaust pipe. The trapezium section tip is more compact and lighter than the original.